I love getting a perfectly cooked piece of salmon, although it doesn't happen as much as I'd like, unless I'm cooking it with my Anova that is! This recipe will give you that perfect, crispy skin and delicious umami flavor running throughout the meat! 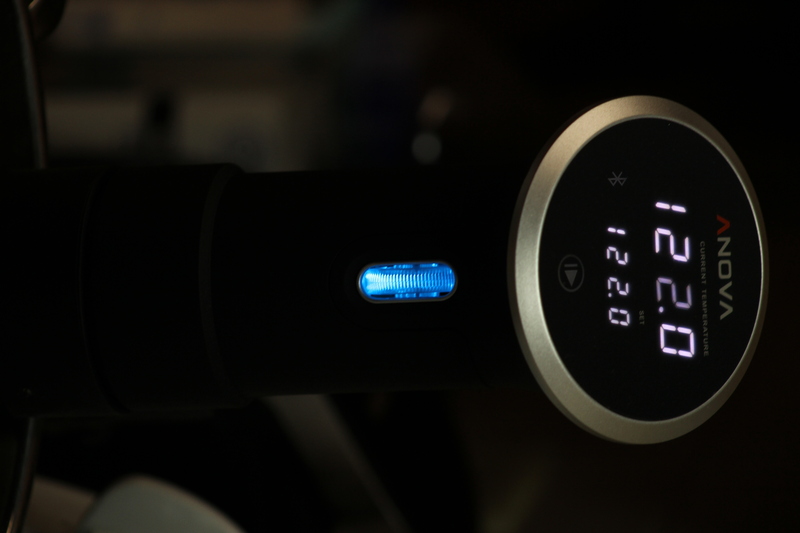 Set the Anova Sous Vide Precision Cooker to 122ºF (50ºC). In a small bowl, mix the miso, vinegar, and black pepper. 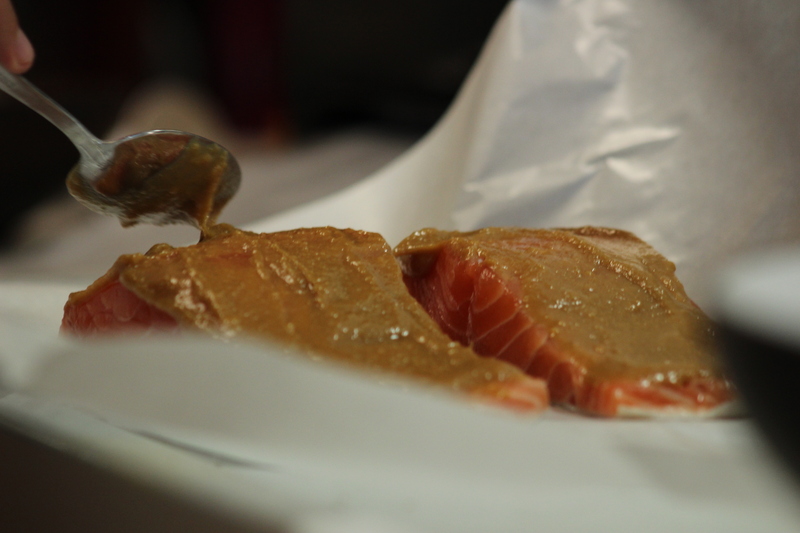 Spread the miso mixture over the flesh side of the salmon. Place in a large zipper lock bag. Seal the bag using the water immersion technique. When the timer goes off, remove the bag from the water bath. Gently remove the salmon from the bag and pat dry with paper towels. Heat oil in a small skillet over high heat. 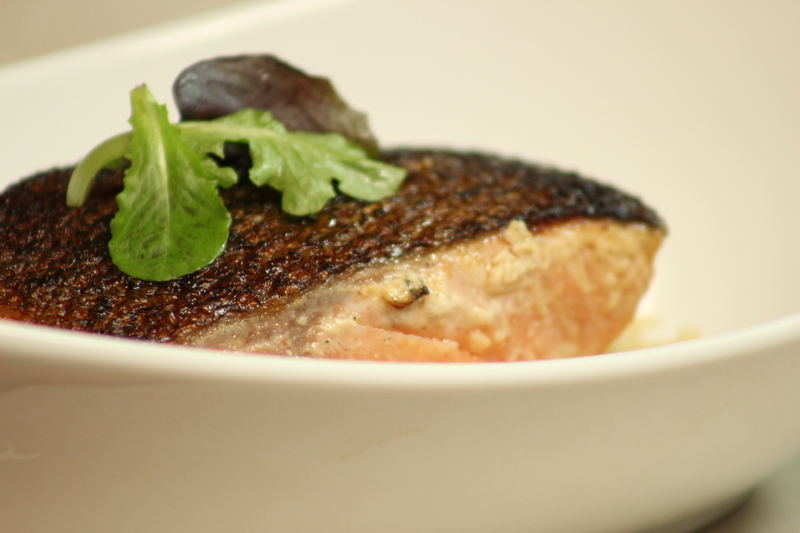 When the oil is shimmering, add the salmon, skin-side down and cook until skin is crisp, 30 seconds to 1 minute. Serve garnished with celery leaves.